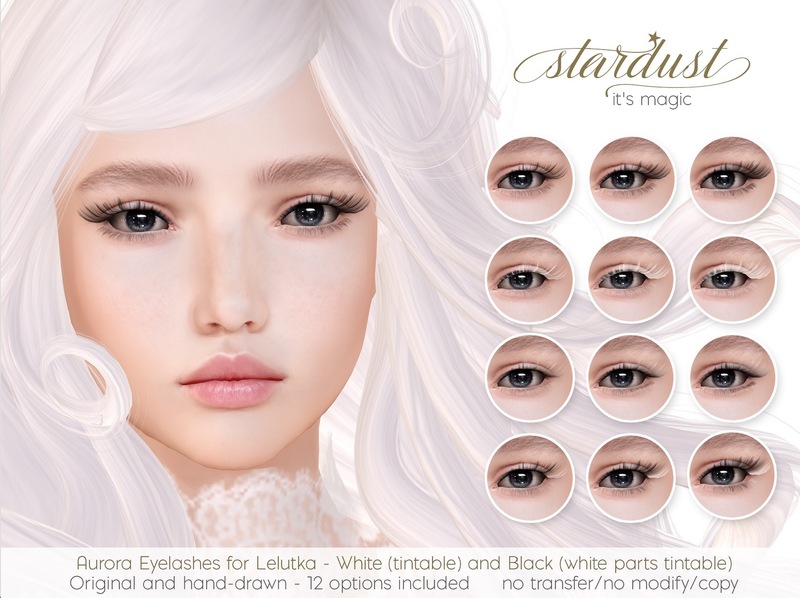 .Stardust's eyelashes and freckles at Uber - July 25th. | Flickr - Photo Sharing! .Stardust's eyelashes and freckles at Uber - July 25th. I'm so happy to share with you that Stardust is at Uber this round! I've made a set of "Aurora Eyelashes" (12 in one pack) for Catwa and Lelutka Bento mesh heads. Demos are available! 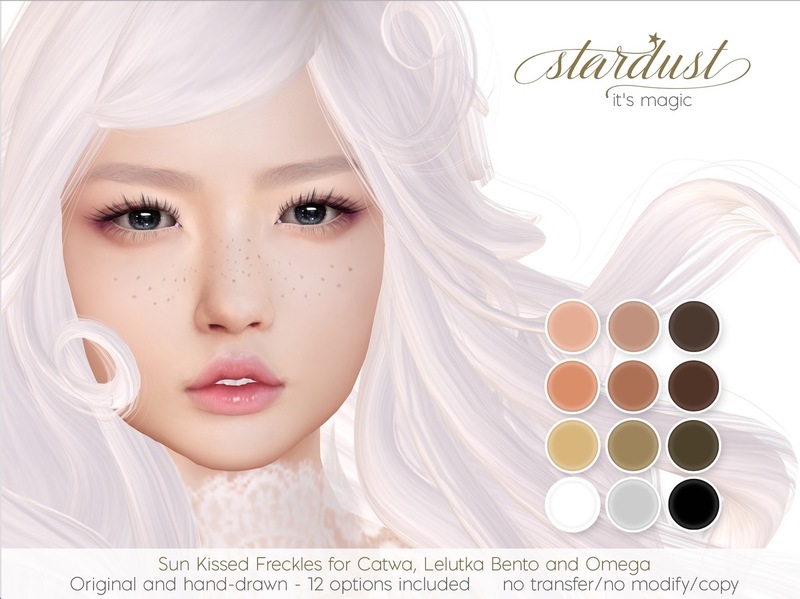 I also got inspired by summer to do "Sun Kissed Freckles" (12 colors in pack included). Huds are for Catwa, Lelutka Bento and Omega. Catwa bento head with my own shape. mick888 resident, LeaOh, Tony Rae, and 240 other people added this photo to their favorites. so so pretty! I need those lashes for my Lelu! ♥ would you mind telling me where the eyes are from? Jasmine Stardust Thank you! Yes I found them, they are indeed S0NG eyes, the Blossom ones to be exact ♥ much appreciated. "Thank You For Posting Your Amazing Work"
Admired in ! MAAM ! Beautiful Image! Thank You so much for sharing with us! Seen and shared in the SL New Release Feed!! Join us on Discord to see even more! Thank you for posting to The Best of Artistic Fantasy group!